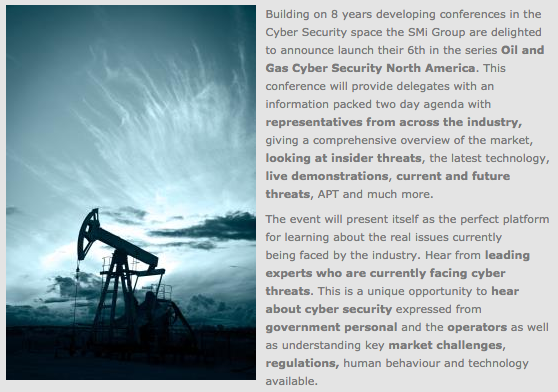 SMI Interview with Tom Russo on Oil and Gas Cybersecurity- about current challenges and opportunities in the cyber security market. Tom Russo chaired this two day conference and spoke about how to achieve resilient oil and natural gas pipelines. See Tom's Oil and Gas Infrastructure Resilency presentation.